The Merkel tree proof-of-work concept that adds security and protects against mining centralization. Unlike Bitcoin (and most other cryptocurrencies) which was designed to be public and completely transparent, really only a handful, including Monero, Dash, Zcash and Zcoin, are actually anonymous. Since only a very small number of coins were originally built to be anonymous, understandably since anonymity and privacy is extremely difficult to maintain against a determined and powerful entity like a government or corporation. Launched in September 2016, Zcoin is the first widely used cryptocurrency to implement zero knowledge proofs (ZKPs) based on work published by MIT’s Silvio Micali more than 30 years earlier. The discovery of the ZK protocol gives us a way to authenticate an identity or verify the validity of a transaction without violating the user’s privacy, and without actually revealing any other information about the transaction. 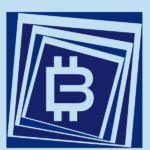 What this advancement means in practice is that we have can mathematical proof like with Bitcoin that a transaction is valid, however, unlike Bitcoin, the recipient receives newly minted coins without any transaction history and no known way to link them to anyone else. As of April 2018, Zcoin had a market cap of about $150 million. Reuben Yap joined the Zcoin team in October 2016 and has played a central role in shaping the project’s strategy and vision. He is a frequent speaker on blockchain and privacy technologies in South East Asia. He has always been a strong advocate of privacy technologies on the Internet, and was a co-founder of BolehVPN, a privacy-focused VPN provider who was also the first merchant to accept Bitcoin in Malaysia. After earning a law degree from the University of Nottingham, Reuben became a corporate lawyer and specialized in institutional frameworks for ten years. Reuben Yap is COO for the anonymous cryptocurrency Zcoin. Reuben has played a central role in shaping the project’s strategy and vision since joining the team in October 2016. 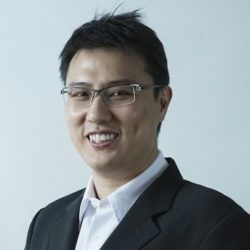 He was previously a corporate lawyer as well as co-founder of BolehVPN, a privacy-focused VPN provider who was also the first merchant to accept Bitcoin in Malaysia.